Whether your favorite slice comes from Sally’s, Modern, or Pepe’s, or one of the newer Elm City pizza joints, you’ll find passionate pizza devotees and lively discussion during this in-depth talk by Colin Caplan, architectural designer, historian, and founder of A Taste of New Haven. 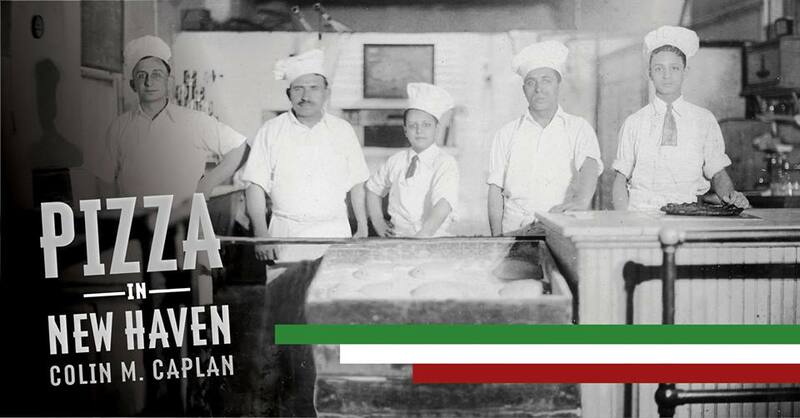 His new book, “Pizza in New Haven”, is the culmination of over 140 years of Italian cultural and culinary influence. Showcasing the toils of immigration and factory work and the bonds created through preparing family recipes, Caplan will outline New Haven’s history as one of the earliest and most influential pizza-making cities in the country and discuss how hardworking families built a culinary industry around their shared passion for their native comfort food.